Attorney General, Lemalu Hermann Retzlaff, has commended the “brave officers” who stood up for justice in the wake of the recommendations by a Cabinet-appointed Commission of Inquiry to terminate the services of two senior police officers. In a statement issued by the Press Secretary last night, Lemalu was quoted as saying the decision reaffirms that due diligence coupled with transparency and accountability is very much alive in government. Chaired by retired Supreme Court Judge Lesatele Rapi Vaai, the commission recommended for Assistant Police Commissioner Samoa Mulinu’u’s services in the force to be terminated. The Commission also found Inspector Luatimu Samau guilty of misconduct and even though he has resigned, the Commission found sufficient evidence for Inspector Samau’s services to be terminated. “The results of this open and public Commission of Inquiry, is a clear endorsement on the Cabinet decision to affect the suspensions and start this Commission,” Lemalu said. Lemalu also praised the “brave officers” who stood up for justice. “The brave officers, who undertook part in the investigations and give evidence, are in my respectful view commended,” complimented the A.G. Cabinet will decide the fate of the two senior officers. 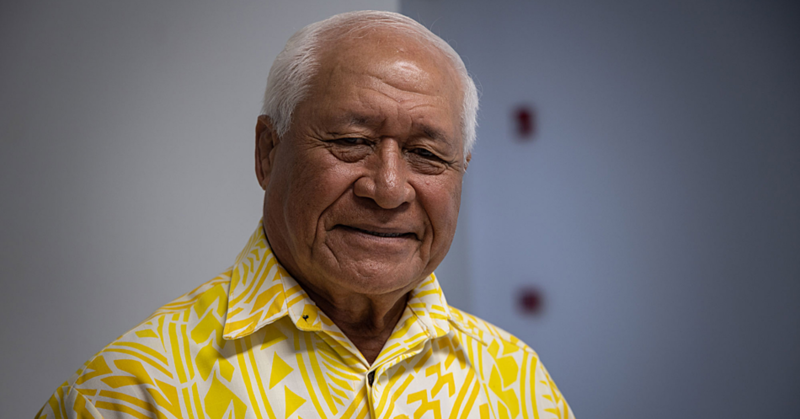 In the meantime and on a related matter, changes will now be implemented on how government will deal with serious allegations of breach of duties by police officers, says Prime Minister Tuilaepa Lupesoliai Sailele Malielegaoi. “From past experiences, government has noticed the blatant ignorance by certain senior police officers taking for granted the due diligence process put in place to recognize and respect their rights by calling Commission of Inquiries to investigate the shortcomings within our Police Force. “And after a number of Commission of Inquiries, Cabinet had hoped it would have identified and address discrepancies within the police force but this apparently has not been the case,” elaborated the Prime Minister. The current law change for Commissions of Inquires gives Cabinet an alternative option in the future. The first is the current position, where an officer is suspended, and the commission is formed to undertake the full public hearings. The new option will see Minister of Police acting on a complaint, and decides if a breach of specific duties is warranted. If so, the Minister must then give the person alleged to have committed the breach the opportunity to present his or her side by submitting written submission in response to the allegations. Once that is completed, the Cabinet can, without the need for a full commission of inquiry, make a decision as to a suspension and or dismissal. 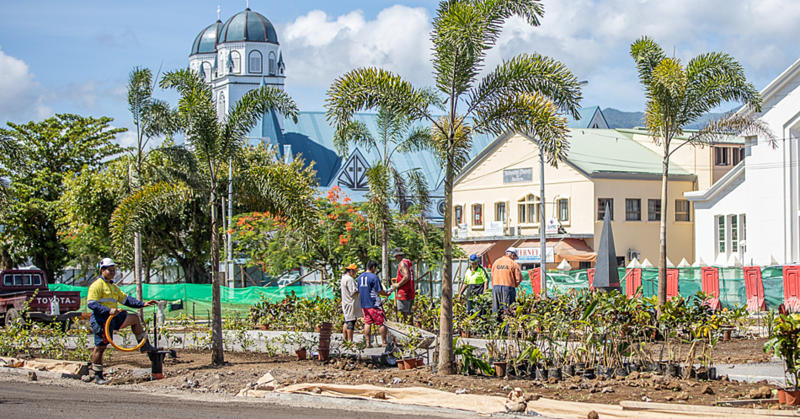 “The second option will not only save costs but is more effective and efficient and at the same time, protects the interest of government and the accused,” noted Prime Minister Tuilaepa. “The new option will retain the ability to launch these types of Inquiries in the future and it has also now given a second option to government. IN THE MATTER: OF THE COMMISSION OF INQUIRY ACT 1964, AND OF SECTION 55(4) OF THE POLICE SERVICE ACT 2009. 1. Pursuant to Cabinet Directive FK 17(05) 15/2/2017 the Commission of Inquiry (Commission) submit this report to Cabinet. 1. inquire into any matters that may come before the Commission which the Commission considers relevant to pursue. • inquire into any matters that may come before the Commission which the Commission considers relevant to pursue. 1. inquiring into any matters that may come before the Commission which the Commission considers relevant to pursue. (iv) Make recommendations to Cabinet, based on its findings regarding the appropriate action to be taken by Cabinet with regards to the Assistant Commissioner, the Inspector and the Corporal. 3. Other than the Police Officers identified in the Cabinet Directive, no other person or organization responded to the public notice, published prior to the sittings of the Commission inviting members of the public who wish to be joined as party, or to give evidence, or to submit written submissions relevant to the terms of reference. The Public Service Commission responded and its submissions are noted with gratitude. 4. The Commission heard from 19 witnesses. Their names are listed in Schedule A. Written submissions were also received from Counsels and Samau at the conclusion of the evidence. 5. Sittings of the Commissions were open to the Public and some members of the public including the media attended. The entire hearing was recorded and it was also transcribed. 6. At the time the Commission commenced sitting, police Inspector Luatimu Samau (“Samau”) who was suspended pursuant to a Cabinet Directive FK(16)12 dated 2 December 2016 had resigned from the service. 7. Corporal Hillary Eteuati (“Hillary”) was suspended by the Police Commissioner by letter dated 2nd March 2016 pending the determination of Criminal charges filed against him. He was reinstated by Acting Commissioner Soonalole on the 1st September 2016. He was again suspended together with Samau by Cabinet directive referred to in paragraph above. He remains suspended. We will deal in detail with the circumstances surrounding the suspensions later in this report. 8. Counsel for Hillary filed an application inviting the Commission not to inquire into the alleged misconduct of Hillary as those allegations are the subject of criminal charges, which Hillary has denied and their determination are pending in the Supreme Court and the District Court. 10. On the 14th March 2016, the charges were dismissed for want of prosecution when the prosecution made no appearance until after the dismissal ruling was given. 11. Instead of refiling the informations, the NPO filed a notice of appeal to the Supreme Court. The appeal hearing is pending. The Police have also refiled the informations in the District Court and those informations also remain to be determined. 12. As the allegations are currently subjudice, the Commission considered it unwise to inquire into the allegations. Section 13 of the Commissions of Inquiry Act 1964 empowers the Commission to refer any disputed point of law arising during the course of inquiry to the Court for a decision. As the subjudice rule was not mooted the Commission considered if necessary to refer the issue to the Court. But for the Commission to inquire into the conduct and circumstances giving rise to the criminal charges tantamount to inviting the Commission to adjudicate on the actus reas element of the alleged offending. 13. Siloto Peneueta (“Sililoto”) a 53 year old motor mechanic of Vaimoso, married and father of 11 children was taken by police from his home at Vaimoso on the afternoon of the 30th April 2015. He was taken to the office of Samoa within the Criminal Investigation Division of the Apia Police station. They talked before the Investigating Officer Mavaeao took him away for further questioning. 14. Sililoto was advised of his right to silence and access to counsel. He chose to remain silent. He was then told of the charges against him namely of obtaining money by deception. He was then placed in police custody for about 2 to 3 hours and he was released on bail by Deputy Registrar Victory Lesa. 15. The criminal charges against Sililoto arose from a complaint lodged by a relative, Letoga Amosa (“Letoga”) of Fasitoo who went to Sililoto’s Mechanic shop searching for a car to purchase with his $3000 cash. On his second visit, in December 2014, Letoga saw a wrecked car, part as it covered with tarpaulin. He liked what he saw and agreed to buy it for $5000. He gave Sililoto $3000 deposit. He paid another $500 later on. 16. Towards the end of January 2015, Letoga decided not to proceed with the purchase and requested his money back. When Sililoto refused to refund, Letoga lodge a complaint with the police in April 2015. 17. The wrecked car Sililoto sold to Letoga, was towed by Sililoto from the home of Beverly Arp Krieger (“Beverly”) of Alafua before Letoga went to Sililoto looking for a car to purchase. Beverly gifted the car to Sililoto after a traffic accident, in consideration for Sililoto’s mechanical services to her in the past. In December 2014, Sililoto gave Beverly $2000 for the car. She did not expect it, but she was grateful. 18. On the morning of the 30th April 2015, Letoga went back to the Apia police to follow up his complaint. He saw Mulinuu. He and Mulinuu are related. Mulinuu as head of CID, instructed Constable Solomona Mavaeao (“Mavaeao”) that same morning to continue with the investigation. At 10:30am that morning, Constable Mavaeao took a statement from Beverly at her home at Alafua. On his return to the Apia police, Constable Mavaeao briefed Mulinuu. Constable Mavaeao and other police officers then travelled to Vaimoso and took Sililoto to the Apia police as noted in paragraphs 13 & 14 above. 19. Sililoto told the Commission that the police came to his home and told him their leader wants to see him and when he inquired about the subject matter, he was told he will find out when he gets to the office. And when Sililoto told Mavaeao he will come later when he finished the work he was doing, he was told he must be accompanied by the police. He left with the police. 20. Inside Mulinuu’s office, Sililoto said he was threatened. Mulinuu told him he will be placed in the cell if he does not pay the money. He tried to reason with Mulinuu, suggesting that the matter should be litigated but Mulinuu insisted the money should be paid or otherwise he will be locked up. In response to his query as to why he will be locked up, Sililoto was told he used deceptive tactics to obtain money. 21. When Sililoto walked out of Mulinuu’s office he was taken by Mavaeao and was told of rights. He was then charged and placed in custody. 22. According to Sililoto’s evidence, no one else was inside Mulinuu’s office when he was threatened. Sililoto said a woman who was in the office went outside when Sililoto walked in. 23. Mulinuu denied threatening Sililoto. All he did was he conveyed to Sililoto the wishes of Letoga to reimburse the $3,500 and the complaint will be withdrawn. 24. Mulinuu admitted talking to Letoga on the morning of 30th April 2015 at the CID office. At the said meeting, Letoga told Mulinuu that Letoga’s aunt was a victim of a similar scam by Sililoto and as a result the aunt lost $6,000 paid to Sililoto. This serious statement was not put to Sililoto when he testified. Mulinuu also testified that Sililoto also told him he will repair the car after the payment of $5,000 by Letoga. Again this was not put to Sililoto. 25. Mulinuu also said he told Sililoto that the police will continue with its investigation, and if the police have sufficient evidence, Sililoto will then be charged. 26. Mulinuu admitted he is related to Letoga but the relationship did not result in any deviation from the recognized policy and process of his investigation. 27. The Commission rejects the submission by Counsel for Mulinuu that the allegations against Mulinuu were too general and failed to specify what duties were breached, which conduct amounted to such breach, and as a result, Mulinuu may have been prejudicial. The further and better particulars of the Terms of Reference would have allowed Mulinuu to answer specifically to such an allegation. 28. The submission is out of order. It should have been raised when the Notice of the sittings of the Commission, its scope and terms of reference was received or at the latest when the Commission sat to determine the pre-hearing application by Hillary Eteuati. 29. Secondly, the letter by the Attorney General to Mulinuu explaining the reasons of suspension, the terms of reference of the Commission and particularly the written statement by Mulinuu to the Commission does not support the submission. He was on duty, as head of CID when the complainant Letoga came in and they talked. He told Letoga that Sililoto will be talked to, and Sililoto was in fact brought in on that same day, charged and held in custody. 30. When Sililoto was taken from his home, the only evidence gathered by the police at that time was the statement by Letoga and a statement by Beverly. Neither statements hinted or suggested a criminal offence. Letoga wanted his $3,500 he paid to Sililoto because he could not afford the $5,000 purchase price and Beverly was adamant that she gifted her wreck to Sililoto. 31. Which means that when the investigating officer Mavaeao briefed Mulinuu on the file that very morning, the only documents on the police file were the statements by Beverly and Letoga and the Crime Report document by police officer Filemu, who took Letoga’s written complaint in April 2015. Despite the obvious lack of a criminal offence, Mulinuu allowed Mavaeao and other police officers to bring in Sililoto. Despite also his obvious conflict of interest, he questioned Sililoto upon arrival. He, according to his testimony, wanted to tell Sililoto the desire by Letoga to refund his money and Letoga will withdraw his complaint. 32. The simple truth is, Letoga had no complaint worthy of investigation. Mulinuu could have passed on Letoga’s wishes through the investigating officer, to Sililoto. 33. We mentioned in paragraph 24 the testimony by Samoa that Sililoto had committed a similar criminal activity on Letoga’s aunt resulting in a $6,000 loss to the aunt. This serious allegation was not put to Sililoto when he testified, it was similarly not put to Letoga. The Commission has very grave doubt about its veracity. The Commission had the impression that it was not put to Sililoto through the fault of Counsel, but because Counsel did not know at the time of cross-examining Sililoto, what Mulinuu was going to say. 34. Sililoto insisted to Mulinuu that the dispute between him and Letoga should be litigated. We reject the evidence of Mavaeao that he was standing at the door while Sililoto and Mulinuu were talking. 35. At paragraph 9 of his written statement, Mulinuu said he told Sililoto that the police will continue with its investigation; he then told his investigation team to proceed with investigation and to charge Sililoto if there is sufficient evidence. This statement is blatantly untrue. 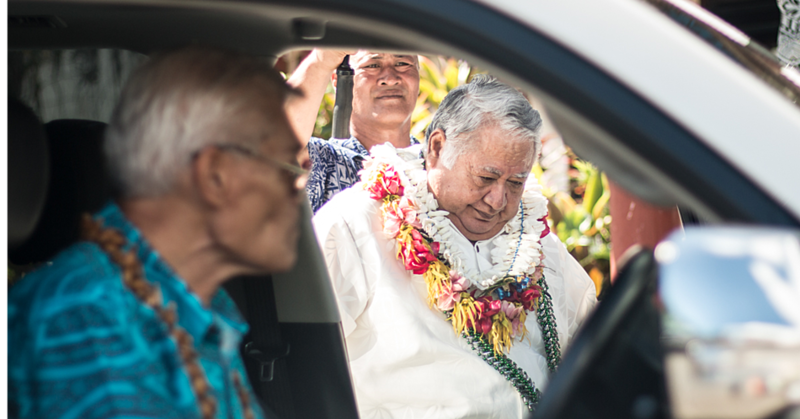 When Sililoto walked out of Mulinuu’s office, he was immediately explained his rights and charged by Mavaeao. No other investigation was done and the file was given to the National Prosecution Office. 36. No further investigation could have been undertaken. As discussed in paragraphs 31 and 32, the statement by the complainant does not have the slightest scent of an offence. Only Sililoto and Letoga were present when the deal was negotiated and sealed. 37. For every investigation of a criminal offence, the completed file with the recommended charge(s) is reviewed by an officer of higher rank than the investigating officer. The final review is done by the head of CID. 38. Investigating Officer Mavaeao’s unchallenged testimony is that he discussed the file with Mulinuu as the Head of CID after the statement was taken from Beverly that morning. After that discussion, Mavaeao and others drove to Vaimoso to get Sililoto. Mulinuu as Head of CID was actively involved in the investigation, and accordingly, the Sililoto investigation file was not reviewed as the head of CID was involved in the investigation. 39. The Commission is of the view that the evidence is compelling and clear that Mulinuu’s conduct on the 30th April 2015, breached the Code of Conduct of the Samoan Police as well as the requirement of the Investigation Manual, by failing to take reasonable steps to avoid conflict of interest (real or apparent) in connection with his official duties. 40. The Commission is also satisfied that Mulinuu did threat Sililoto before Sililoto was handed over to the investigating officer to be charged and kept in custody. 41. The allegation against Mulinuu surfaced in a written report of the Police Standards Unit (“PSU”) submitted to Cabinet in response to a Cabinet Directive. 42. The case against Mauga Precious Chang (“Mauga”) was extensively publicized. It was investigated by the Traffic Section under the leadership of Superintendent Tuaena Lomano Paulo (“Tuaena”) who assigned Sergeant Magalo Pule (“Magalo”) to conduct the investigation. 43. Immediately after the traffic accident was reported to the police on the afternoon of the 4th May 2016, Magalo and his investigating team, including forensics, attended the scene. They took measurements and photographs. Magalo also took a written statement from a taxi driver, Tafito Selesele (“Tafito”), whose taxi was damaged as a result of the traffic accident between a bus and the car driven by Mauga. He also took a written statement from the bus driver Paulo Filipo (“Paulo”). Both statements were taken soon after the traffic accident. 44. On the 31st May 2016, both the bus driver and taxi driver were taken back to the police station on orders from Mulinuu. Tafito, the taxi driver, was interviewed by Mulinuu at the Traffic Section where two female police officers, Banse and Gasu, were working and could hear what was said. Both female officers testified that on more than one occasion, Mulinuu threatened to put Tafito in the cell if he did not correct or changed his statement. 45. Tafito confirmed there were female officers in the room. He also confirmed another police officer; Esther (his girlfriend) was also at the Traffic Section that day. 46. Investigating Officer Magalo who took the bus driver and taxi driver for further questioning, told the Commission that he was told by Mulinuu that other police officers saw the bus going through the red traffic lights just prior to the accident. Magalo took the second statement from the bus driver on the same day. 47. Mulinuu confirmed he did tell Magalo to bring back the bus driver and taxi driver for further questioning, and he did so as he was authorized by the Commissioner to do so. He denied threatening or demanding the taxi driver to change his statement. 48. Tafito denied he was threatened by Mulinuu. 49. Mulinuu told the Commission he did request the Commissioner to re-investigate and correct errors on the file after he was told by the Commissioner to accompany him to inform Mauga of the charges to be laid against her. He then requested to see the file. He viewed the dummy file and noticed a number of shortcomings in the investigation which needed to be addressed. Mulinuu also denied telling Magalo that other police officers saw the bus going through the red traffic lights. 50. The Commissioner disagreed with Mulinuu’s testimony. When the Commissioner sent for Mulinuu to accompany him to meet with Mauga and to inform her of the traffic charges, the Attorney General’s Office had given its opinion, which independent overseas counsel had endorsed, to file the charges. There was therefore no need to re-investigate. A further investigation would only have been done if the Office of the Attorney General had requested or directed. 51. Tampering is defined in Black’s Law Dictionary, Revised 4th Edition, as to meddle so as to alter a thing, especially to make corrupting or perverting changes; as to tamper with a document or text; to interfere improperly. 52. Two issues needed to be resolved here. The first is whether Mulinuu, the head of CID involved himself with the investigation of a Traffic matter without authorization and secondly, whether he did in fact threat the witnesses Tafito and Paulo to change their statements. 53. In his statement taken within minutes after the accident, Tafito drove out of the TATTE building compound. He stopped at the gate to give way. At that time, the car driven by Mauga coming from west to east crossed the road to turn into the TATTE gate and in front of the bus travelling from East to West. The bus struck Mauga’s Tucson car and the Tucson struck his taxi. 54. In his second statement, not only did he say that the bus struck his taxi after colliding with the Tucson, he also said that the bus was going fast, and that the bus was about 5 meters away when the Tucson crossed in front of him. 55. Tafito told the Commission that on the 31st May 2016 when he was at the police station, he thought again about what happened and realized it was the bus, not the Tucson that struck his vehicle. 56. Tafito’s evidence simply cannot be believed. He was sitting in his car when it was struck at the front, a few feet away, by another car. How he can be mistaken between a smaller Tucson and a much bigger bus is beyond comprehension. If the police had not taken him to the police station on the 31st May, some 27 days after his first statement, his statement would undoubtedly have remained unchanged. 57. The very obvious picture painted by the investigation conducted by Mulinuu is that the focus was on the bus, its speed, faulty brakes and even alleging it drove through the red lights. We accept the testimony of the female officers Banse and Gasu that Mulinuu did threat Tafito. 58. The Commission is satisfied that Mulinuu did threat Tafito and as a result Tafito changed his statement. We also accept in full, the evidence of the Commissioner, that he did not authorize a re-investigation of the file when the Office of the Attorney General had advised the police to file the charges. It would be contrary to logic and good sense to re-investigate when legal counsel has deemed sufficient evidence on the file to proceed. 59. Mulinuu himself acknowledged that when he was asked by the Commissioner to accompany him to meet with Mauga, the Attorney General had already given the green light to press charges. 60. It would be quite obvious from our findings as well as our comments that Mulinuu has breached his duties as Assistant Commissioner. His conduct in the Sililoto Matter and in Police v Mauga Chang investigation fell short of the standard a reasonable member of the public is entitled to expect from a reasonable competent police officer of his rank. 61. The next step is to consider whether his conduct and behavior is likely to affect the confidence of the community in his ability as Assistant Commissioner. “We see no error in the approach Duffy J adopted in the present case of considering whether reasonable members of the public, informed of all relevant circumstances would view his conduct as tending to bring the profession into disrepute. 63. Gibbs CJ, in the judgment of the High Court of Australia Boughey v R (1986) 161 CLR 10, remarked that it is potentially misleading to suggest that something is likely to happen if there is a chance it would happen. He also said that the meaning of the words likely and probable is likely to vary according to the context in which they are read. 64. Concerning the Sililoto matter, Sililoto should never have been taken forcibly from his home, but he was, on instructions from Mulinuu. Contrary to the Police Code of Conduct, Sililoto was treated by Mulinuu with discourtesy and unfairly. Mulinuu misused his status. As head of CID, and with a conflict of interest, he should not have been actively involved in the investigation. Sililoto was not given his constitutional rights until he was about to be charged and placed in custody. 65. The same observations apply in the treatment of Tafito. Threat was involved in both investigations. The combination of his conduct in both instances, viewed objectively, is likely to affect the confidence of the community in his ability as the Assistant Commissioner. 66. In the month of May 2016, while the Traffic Division of Apia was investigating the Mauga Chang traffic accident, Samau was the police officer in charge of the Afega Police post. It is not denied that Samau visited the office of Superintendent Tuaena, the then head of Apia Police Traffic Division. 67. What is disputed is the reason for Samau’s visit. Samau said he was invited by Tuaena to assist with the investigation. Tuaena told the Commission, he did not invite Samau to assist. There was no need for assistance as the investigation has completed, and besides, the Apia Traffic division and the Forensic division had the qualified and capable personnel to do the investigation. The Commission accepts the evidence of Tuaena. 68. Samau managed to obtain the mobile phone number of the bus driver. He instructed the bus driver to come to the Apia police. At the Apia police, the bus driver was questioned by Samau concerning the speed of the bus and the red traffic lights. Samau knew the bus driver had already given a statement to the investigating team. 70. Only Samau knows who asked or persuaded him to put his nose in the investigation. One thing is certain, like Assistant Commissioner Mulinuu, the Samau investigation was focused on the bus and the red traffic lights. 71. The Commission considered it is unnecessary to resolve whether Samau was at the Traffic section the 31st May 2016, the day Assistant Commissioner Mulinuu questioned Tafito, the taxi driver. Other than talking to Mulinuu, Samau was not observed talking to any other person or witness. 72. The bus driver did not change his statement or evidence after talking with Samau. He had always maintained that the bus had faulty brakes. Samau may have attempted to tamper the evidence but the bus driver did not say so or even suggested it. 73. The words witness tampering were used by the OIC of Traffic, Tuaena, in his complaint to the Commissioner, but as we noted above, the evidence falls far short of witness tampering. 74. The conduct of Samau however in our view breached the Code of Conduct issued by the Commissioner pursuant to section 11 of the Police Service Act 2009. It also amounts to breach of duty pursuant to section 50. 75. Samau was not reinstated as suggested by the Commission’s Terms of Reference. 76. By email on the 2nd June 2016, the Head of Traffic Division lodged a complaint with the Commissioner against Samau alleging tampering with witnesses in Police v Mauga Chang. 77. The Commissioner forwarded the complaint to the Head of the PSU, Inspector Samuelu Afamasaga, for investigation. 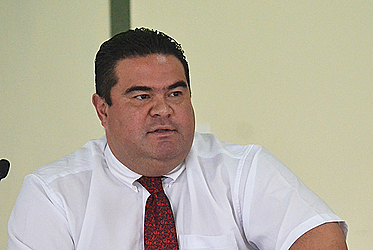 Afamasaga appointed Senior Sergeant Vaalele Tofa (“Tofa”) to investigate. 78. Senior Sergeant Tofa investigated and recommended disciplinary charges be laid. Head of PSU forwarded the investigation report and recommendation to the Commissioner. The Commissioner endorsed the recommendation and returned the file to PSU. 79. Senior Sergeant Tofa sent for Samau and gave him the written charges. The file was then returned to the Commissioner to appoint the Tribunal. Samau denied the charges. 80. There is notation on the file dated 12/7/16 by the Commissioner instructing Assistant Commissioner Soonalole to recommend Tribunal. A notation of the 14/7/16 by Assistant Commissioner Soonalole instructed Inspector Afamasaga, to forward the investigation file in preparation for Tribunal. 81. The last notation on the file is a note dated 22/7/16 by the Commissioner to Assistant Commissioner Mulinuu to proceed with the Tribunal. Mulinuu told the Commission through his written statement that he did not receive the Tribunal file until after the Commissioner was suspended. The Commissioner was suspended on 17th August 2016. 82. On the 15th November 2016, Assistant Commissioner Mulinuu was suspended pursuant to a Cabinet Directive. At that time, the Tribunal had still not sat. Mulinuu’s explanation was that he told the Commissioner’s Secretary to organize the Tribunal. He also requested updates of the Tribunal sitting from the Secretary but the Secretary repeatedly responded that the third member of the Tribunal was not available. 83. Mulinuu told the Commission that when he left the office through his suspension, some of the officers of the CID office who helped packed his personal items must have packed the Samau Tribunal file as well. The file was subsequently retrieved from Mulinuu’s home by an officer of PSU some two weeks after. In the meantime, Samau remained employed by the Service until he was suspended by the Cabinet Directive. 84. Samau has since resigned from the Service. He was not suspended pending the hearing of the disciplinary charges. 85. When the PSU returned the Samau file to the Commissioner to appoint a Tribunal to hear the disciplinary charges against Samau, it was the last time the PSU saw the file. That was in July 2016. It did not see the file again until it was retrieved from the home of Mulinuu in November. 87. The handling of the Samau complaint file speaks volumes of the problems faced by the PSU, particularly when the file is delegated to an Assistant Commissioner for action. The file gets thrown around with comments and notations and without a system in place to check on the movement of the file. Mulinuu had the file for about four (4) months; no Tribunal was selected and no action was taken or considered against Samau until the Cabinet Directive was received. 88. Assistant Commissioner Soonalole should have, given the seriousness of the allegations, suspended Samau when the file was delegated to him. Assistant Commissioner Mulinuu had the file for about four (4) months. He neither suspended Samau nor call the Tribunal as was instructed. 89. The head of PSU in his testimony suggested PSU could never be independent in its investigation of complaints against police officers unless it is separated from the police. This submission is in line with the measures adopted in other jurisdictions like New Zealand which have an Independent Police Conduct Authority which has five (5) members appointed by the Governor General on the recommendations of the House of Representatives. 90. Another major hurdle faced by the PSU is the long standing policy within the Service concerning the chain of command which entails that an officer of a lower rank cannot investigate an officer of higher rank. 92. If the PSU is to remain under the police, perhaps the Police Service Act should be amended to allow the officers of PSU to investigate any officer other than the Commissioner and Assistant Commissioner. It would undoubtedly assist the officers in their work by breaking through the culture, tradition or policy within the Service. 93. As noted in paragraph 10 above, the criminal charges against Hillary were dismissed by the District Court for want of prosecution on 14th March 2016. Hillary was at that time suspended from official duties by the Commissioner. 95. On the 31st August 2016, the day after the appeal date was set, Acting Commissioner Soonalole reinstated Hillary. There is nothing on the file, except the memo by Soonalole, to suggest the reasons for the reinstatement. 96. It is also noted that the same charges dismissed by the District Court, and the subject of appeal in the Supreme Court, were re-filed by the police in the District Court, so that proceedings relating to the same charges are both pending for hearing in both District Court and Supreme Court. 97. The reinstatement of Hillary blatantly contravened section 51(1) (b) of the Police Service Act 2009. Assuming that the reinstatement by the Acting Commissioner was as a result of a false report relating to the status of the criminal charges against Hillary, that report would only have come from the NPO. It reflects a poor communication between the NPO and the police. • The criminal charge has been either dismissed or the member acquitted by the Court. • Any delay in holding or concluding an inquiry into the charge of an appeal occurs through any circumstances beyond the control of the Commissioner. • Is entitled to receive his or her salary, allowance or other remuneration in respect of that period of his or her suspension. 100. The system of suspension and reinstatement are similar to other organizations like the Public Service Commission. The loophole in the case of Corporal Eteuati was that he was reinstated without seeking confirmation from the NPO or court office whether an appeal was pending or the prosecution concluded. The fault falls squarely on the authority who reinstated Hillary. 101. The conduct of Hillary was not the subject of this inquiry. The Commission will accordingly not make any recommendations regarding Hillary. 102. The Commission has concluded that Samau is guilty of misconduct by involving himself in the investigation of the Police v Mauga Chang file. He has however resigned from the Service effective as from 2nd March 2017. 103. Our Terms of Reference requires us to make a recommendation as to what action should be taken against Samau. That Term of Reference was based on the assumption that Samau had not resigned from the Service. 104. Samau however during his final submissions, expressed the wish that he would liked to return to the Service. He also in his letter of resignation to the Minister of Police made a similar request. 105. Had he not resigned we would have recommended that his service be terminated. 106. We are satisfied that he had involved himself in the investigation with a corrupt motive ; he blatantly ignored the code of conduct issued by the Commissioner pursuant to section 11 Police Service Act 2009; and he is also guilty of misconduct pursuant to section 50 of the same Act. 107. His impugned conduct viewed as a whole falls far below the standard that a reasonable member of the Samoan community is entitled to expect from him. 110. The Commission had determined and concluded that the behaviour and conduct of the Assistant Commissioner in both the Sililoto and Police v Mauga Chang matters will be likely to affect the confidence of the community in his performance. 111. In considering the appropriate recommendation, the Commission is mindful that the primary purpose of professional disciplinary proceedings is not to punish, but to protect the public, to maintain public confidence in the integrity of the Service and to uphold proper standards of behaviour. I therefore propose to proceed on the basis that although the protection of the public is a very important consideration, nonetheless the issues of punishment and deterrence must also be taken into account in selecting the appropriate penalty to be imposed. 114. The Commission is of the view after considering the circumstances involving the Sililoto matter and the Police v Mauga Chang matter, that the services of the Assistant Commissioner should be terminated. 115. The two (2) incidents involved members of the community, one (1) was a police witness, the other was a target of an unfounded complaint. 116. An element of corruption played a role in his conduct. He ignored the oath he took when he was sworn in as a police officer, and he also breached the Police Code of Conduct. 117. His explanation that his conflict of interest did not influence the integrity of the investigation cannot be accepted. His oath and the Police Code of Conduct required him to disassociate himself with the investigation of the Sililoto matter; he had no choice. It also required him not to interfere in the Police v Mauga Chang matter. 118. The Commission cannot ignore his inaction in the Samau’s tribunal matter when he failed to perform as Assistant Commissioner, to facilitate a Tribunal hearing during the three (3) to four (4) months he had the file. His excuse about taking the file home inadvertently cannot be accepted.